Much of fundraising is an art, not a science. Knowing when a prospect is ripe for an ask, or how to craft a case for support that really tugs on the heartstrings take experience and practice. 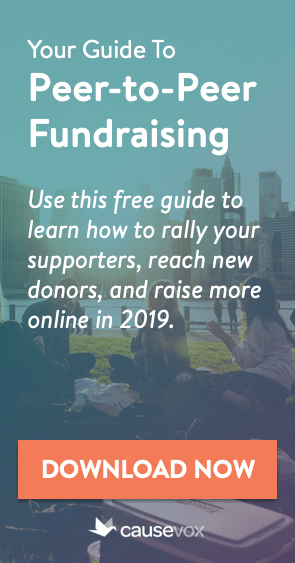 There are, however, several immutable, undeniable laws of great fundraising that are so very essential to the process that they can’t be overstated. The only way to really succeed in fundraising is to build lifelong relationships with your donors. The only way to build those types of relationships is by following the non-profit fundraising formula: Prospect first, cultivate second, ask third, steward fourth. Rinse and repeat. Non-profits that try to jump right from prospecting to asking, or spend too much time cultivating and never move to asking and stewardship, do so at their own peril. For more information on how to follow this formula, read: Prospect. Cultivate. Ask. and Are You Stewarding Your Donors? Action matters in fundraising. Raising money is hard work, and it takes repeated effort and time to do it right. That being said, non-profits also need to spend a small amount of time planning their work and mapping out their donor relationships. So… what’s the best mix of planning and action? In working with hundreds of non-profits, I have found the right mix to be about 5% planning and 95% doing. If your organization is not spending at least 2 hours of every week planning, you’re likely missing something important. Similarly, if you’re spending too much time planning and not enough time out there building relationships, you’re not maximizing your fundraising. Aim for 5% of your time planning and 95% of your time doing. I have never worked with a non-profit that had the time and resources to pursue every fundraising idea and strategy that came across their plate. Far from it. Most charities are understaffed and boast a fundraising budget that is far lower than they actually need. So… what’s a non-profit to do? Focus on what matters. You’ll never have the time to do everything you want to do. So focus on what matters and what is working, and cut out (or delegate to volunteers) those fundraising tasks that aren’t moving the ball forward. For more tips on focusing on what matters, read: Analyzing Fundraising Strategies through the 80/20 Principle. When performing any fundraising activity, there is a simple hierarchy that determines what method of donor contact will bear the most fruit. It is: Meet – Call – Write – Email. Whether you are prospecting for new donors, cultivating current prospects, making fundraising asks or stewarding your current relationships, you should always be thinking about whether or not you have the time to have a one-on-one or small group meeting with your contact. If not, then ask yourself whether you can schedule a call. If not, then think about writing them a letter. If you can’t do that, then send them an email. Why? 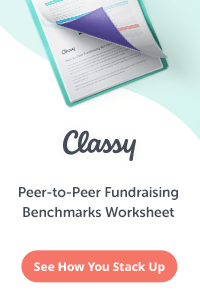 Because time has shown that when it comes to fundraising, in-person meetings are far more effective than calls, which are far more effective than personal snail mail letters, which are far more productive than personal e-mails. The more personal and intimate the contact, the better relationship you will build with your prospect or donor. No non-profit has the ability to rapidly grow their fundraising by simply relying on gifts from their current donors. None. (Except, perhaps, those organizations started and funded by one mega-donor in the millionaire / billionaire range. But for most non-profits, this simply isn’t the case). If you want to dramatically increase your fundraising, you can’t do it with your current givers. Instead, you have to rely on leverage. 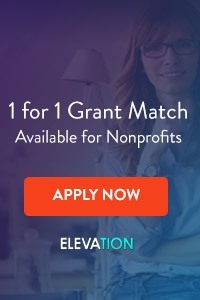 Specifically, you need to leverage your current donor relationships into more prospects by asking your donors, board members, volunteers and staff members for referrals. Then you need to go out and cultivate those referrals, make an ask, and then ask them for referrals. For more on how to get referrals, read: The Best Place to Find New Donor Prospects for Your Non-Profit. This is so true. 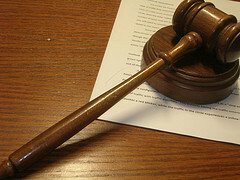 I particularly like Law #2. It’s easy to get caught up in strategizing and planning so much that we forget to actually DO fundraising. Good stuff!